“Make a Step” movement created schedule and toolkit of peaceful disobedience actions. Decentralized struggle, strike, absence from classes and every day a rally in the Republic Square at 7p.m. The members of the rally go home before 10 p.m and the day ends with the scoop actions. 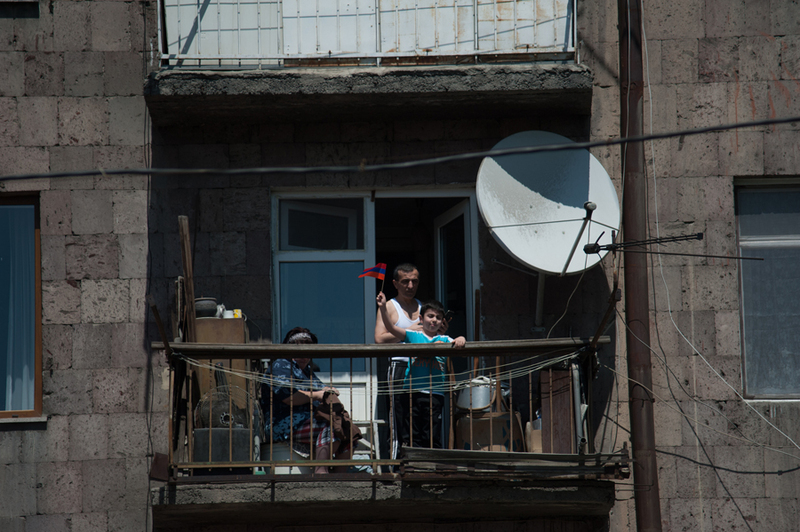 People express their complaints by hitting each other the scoops and the saucepans from the windows or the balconies. 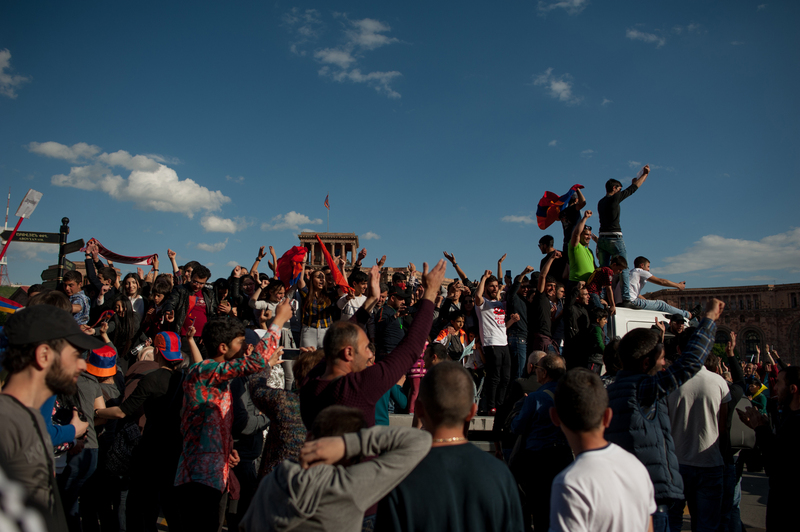 In the early morning of April 23, peaceful civil disobedience actions beginned in the Republic. Self-organised strikes and class absences spread all over the country. 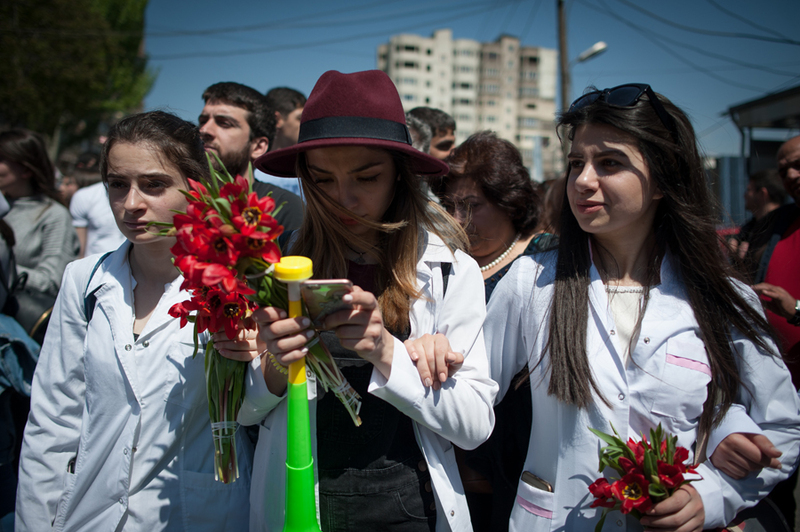 The doctors of the “Armenia” medical center joined to the strike and closed the Halabyan street, as well as employees of various factories and organizations. 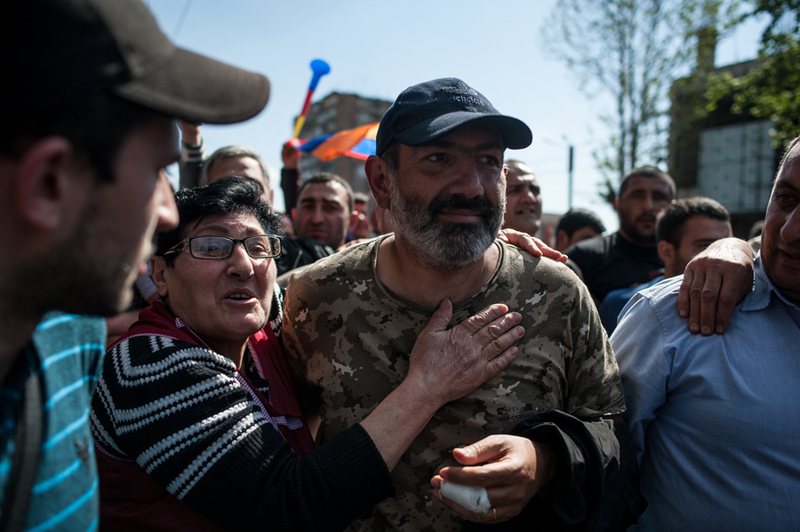 Although the location of Nikol Pashinyan was unknown, the information was spread that the top officials of the Republic of Armenia were rushing to see him. 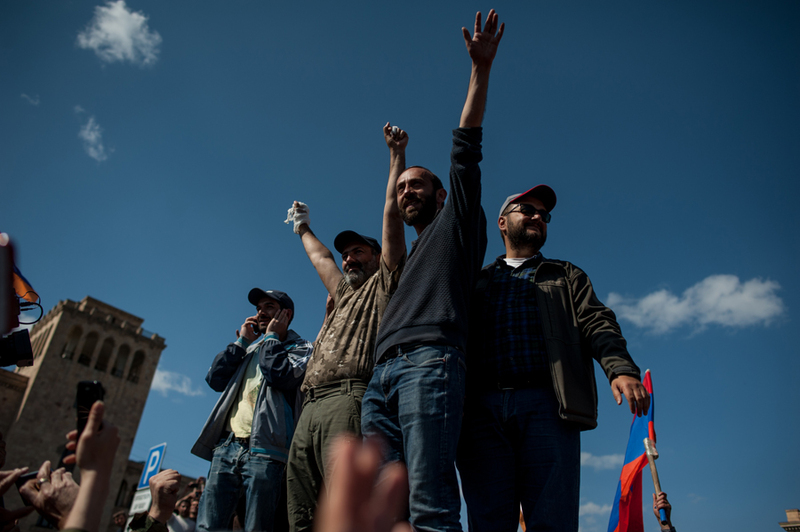 In the afternoon Nikol Pashinyan, Sasun Mikayelyan and Ararat Mirzoyan were released. 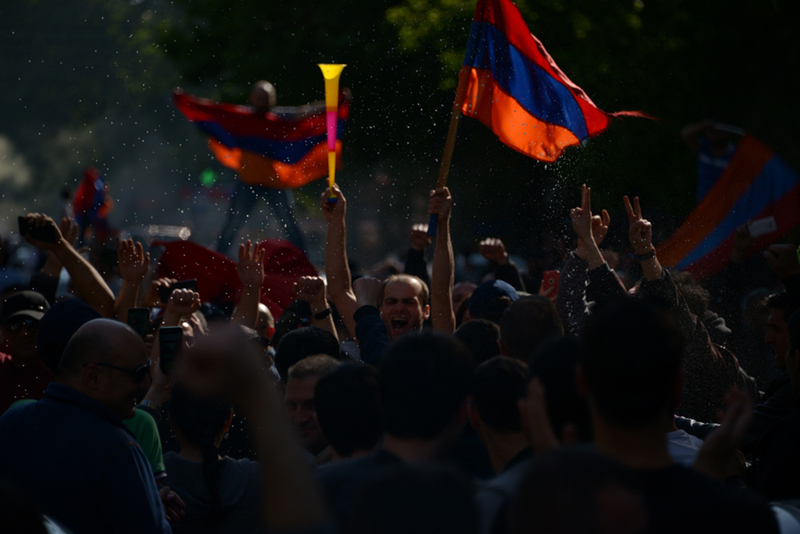 The streets of the Yerevan were already flooded with tens of thousands demonstrators. 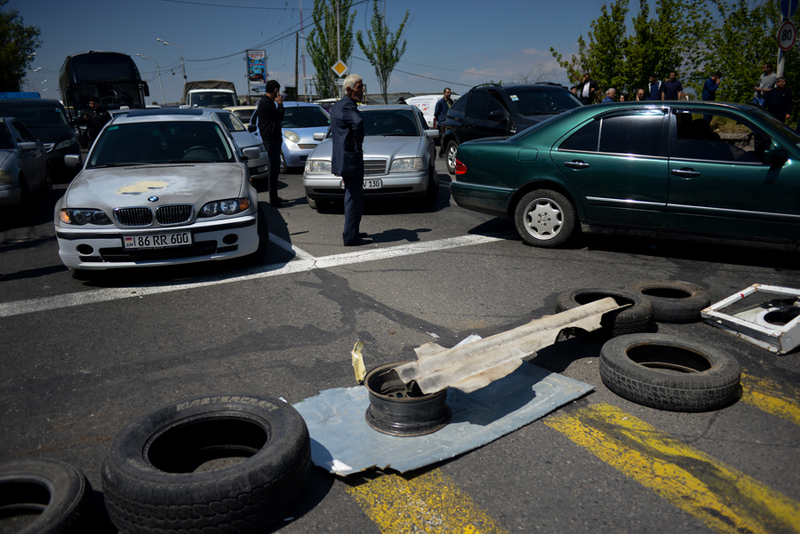 The information about the resignation of the Prime Minister of Armenia Serzh Sargsyan became known and confirmed almost an hour later. 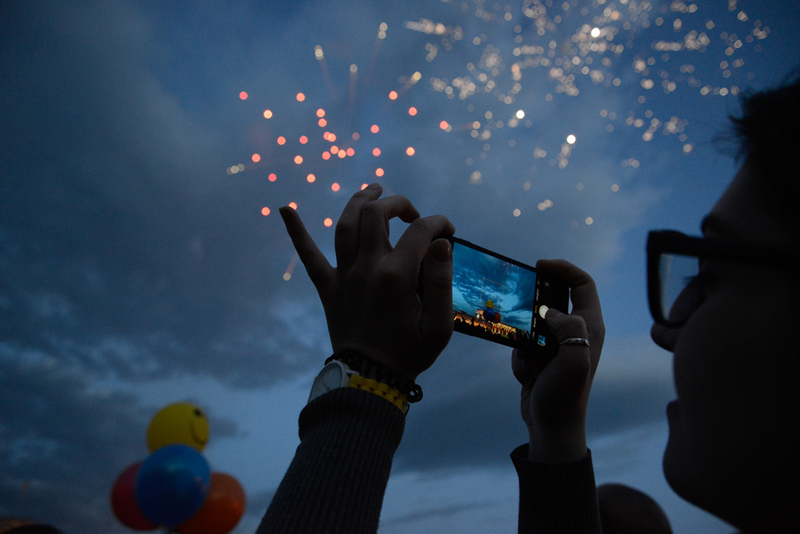 Literally, within a minute the celebration of joy began at the Republic Square. 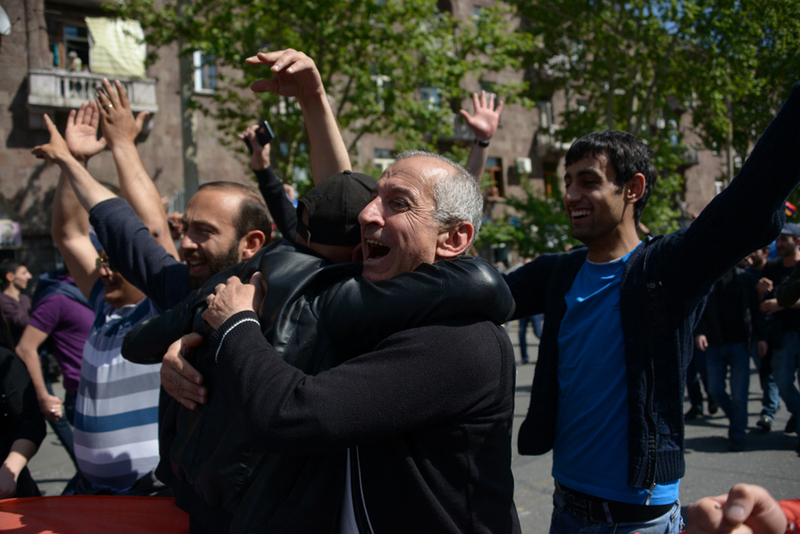 People began to congratulate each other with the slogans “Victory, victory” on the resignation and dance wherever they were standing. 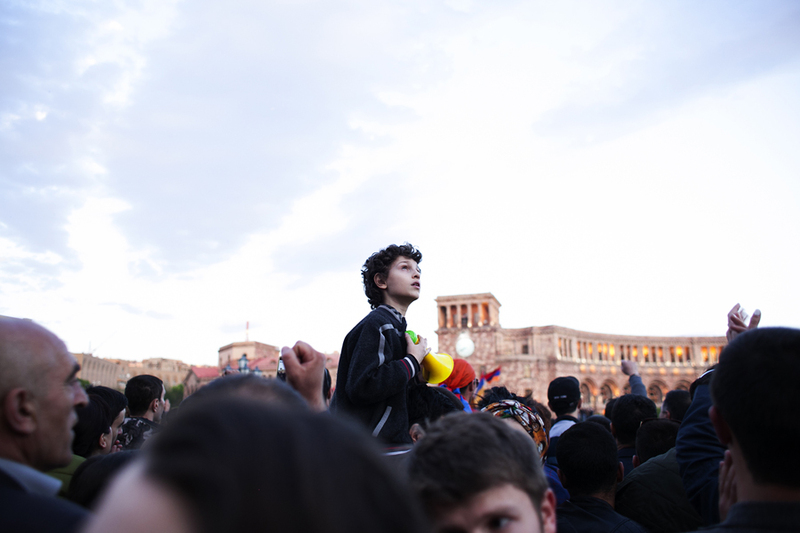 Champagne, loud music, signals and the youth dancing on the cars in the streets of the Yerevan. 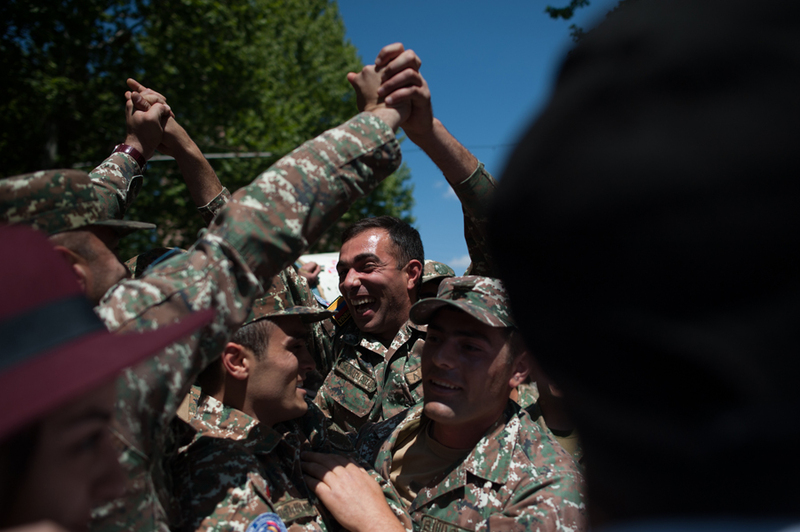 Such a celebration and joy in the history of Armenia is for the first time. 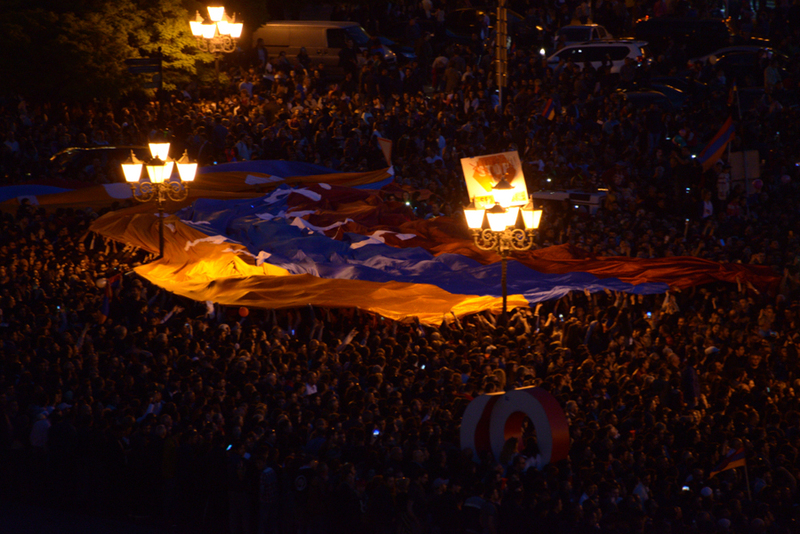 In the evening during the rally Nikol Pashinyan announced that by this victory people of Armenia paid a great tribute to the victims of the events of March 1,2008. 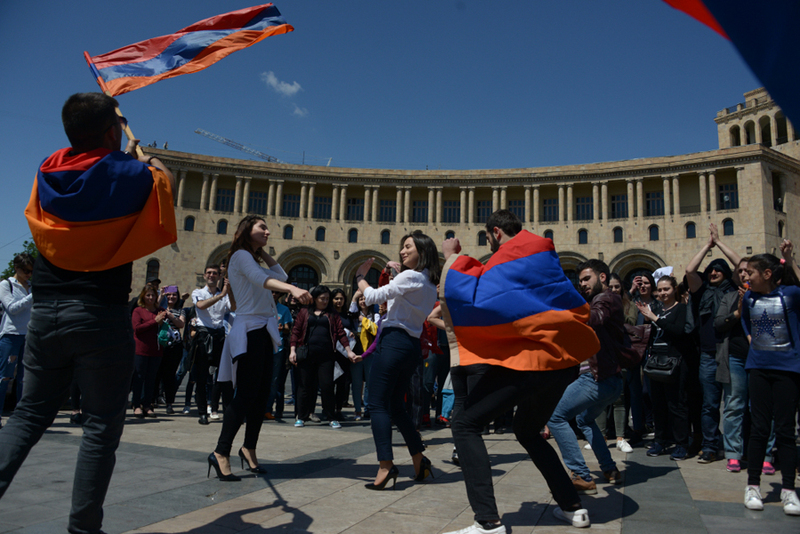 On April 24, he also invited to walk together from the Republic Square towards Tsitsernakaberd – memorial of the victims of the Armenian Genocide. During the night all the citizens detained and arrested were released.